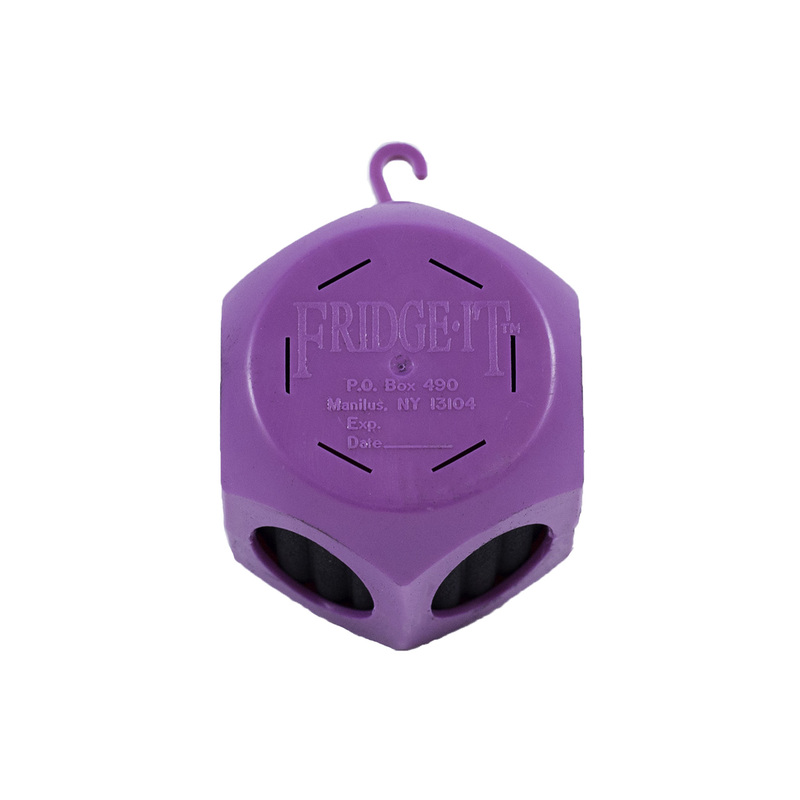 The Original, Fragrance Free FRIDGE-IT® Cube is ideal for even the worst odors in refrigerator and for providing fresher tasting and smelling ice in the freezer. 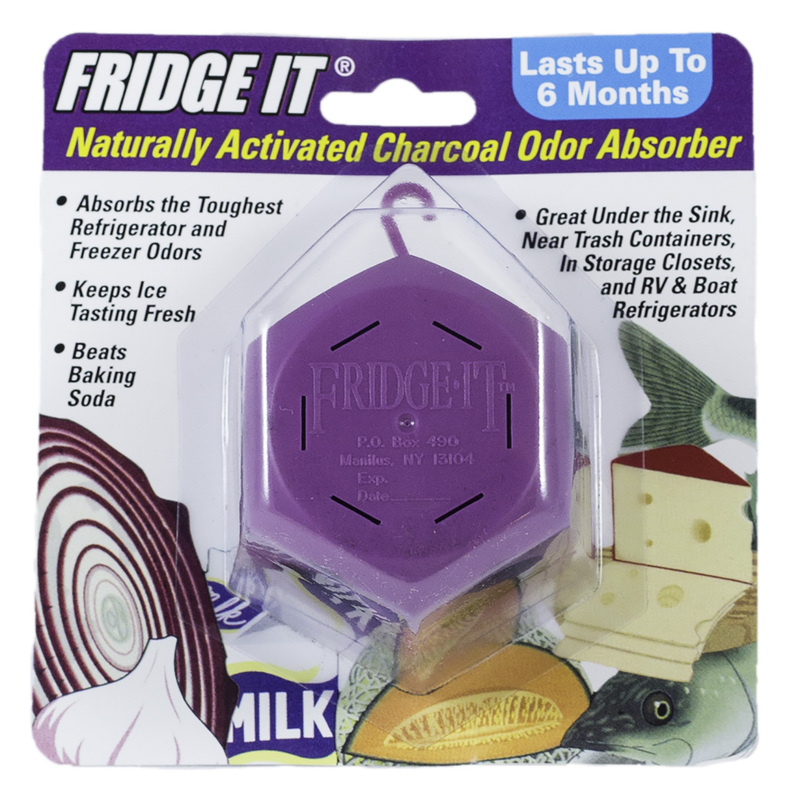 Activated carbon works on all odors, not just the easy ones. 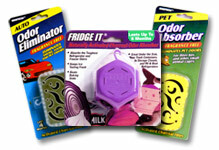 Last up to 6 months and can be used almost everywhere for eliminating unwanted odors. Available in our original cube with built in hanging feature to hang or just place on surface or flat wafer for smaller areas (see Fridge IT Wafer). Because of our unique manufacturing the activated carbon is blended into a single molded carbon element which is dust free – so you can be sure nothing will get on your food. 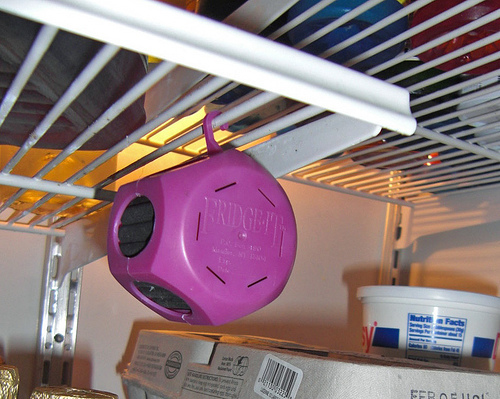 FRIDGE-IT® also works great around the house to eliminate musty and bad odors. Try it under sinks, near trash, closets, storage, garage, cabinets, diaper pails, pantry, lockers, sports bags, dorm rooms, office cubicles, even for dead mouse in wall odors and much more. The safer, more effective alternative to eliminating odors and providing clean fresh air. 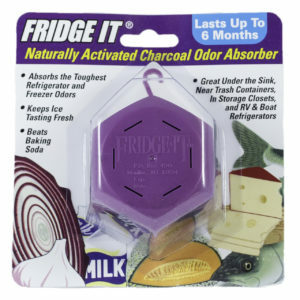 The favorite odor absorber for breakroom refrigerators, smelly dorm rooms and even dead rodent odor hidden behind walls. 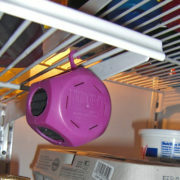 I placed a fridge-it in out stinky, sports shoe chocked front door closet. The next morning, and all mornings since, I’ve not gagged upon opening the door. Thank you fridgehit! We put our fridge-it near our garbage/yard waste/recycle bins…which usually really start to smell when they need to be taken out. Haven’t smelled them since! Truly amazed by this product! I’m buying more and plan to try in our gym bags and near our wet suits! I have placed Fridgehit in the rubbish bin pantry and have been pleasantly surprised at the lack of a “lingering compost odor”. Quite pleased. 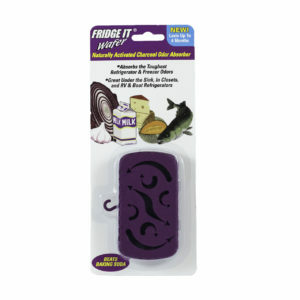 Fridge-It is by far the best odor eliminator that I have used in my fridge. I like that it’s compact and does a great job at neutralizing smells. I have had it for a couple of months and it continues to impress. I’ll definitely be purchasing more.